It’s normal for older people to feel an emptiness — a twinge of disorientation — when they retire, start a new job or become empty nesters. The four-class sessions, designed for ages 55 and older, will be held from 1-4 p.m. on Wednesdays — July 26, Aug. 2, Aug. 9 and Aug. 16 — at Temple Har Shalom. Registration is open and can be made by contacting Liz Anderson via email at elizabeth@jfsutah.org or by calling 801-746-4334. The cost is $135. Scholarships are available. Call Ellen Silver, Jewish Family Service executive director, at 801-746-4334 for information. Although the workshop is sponsored through Jewish Family Service and held at Temple Har Shalom, Leaman said it is nondemominational. The workshop is also good for those people who just feel something needs to change in their lives. Leaman wanted to emphasize that “Re-Imagining Your Life” is a writing workshop, not a counseling session. “I’m a writer and not a therapist,” she said. “So, we are going to approach the changes in these people’s lives through writing. The workshop is open to all levels of writers, and no writing experience is necessary. Writers will also write about loss and regrets in their lives. Another issue Leaman will address is self-discovery. “We’ll talk about leaving comfort zones, rediscovering passions and interests, and taking stock of our lives,” she said. Participants should bring writing tools they are comfortable using: pens, pencils, laptops, paper or journals. “It just depends on how they feel they can best express themselves, because this is an expressive writing class,” Leaman said. Writing has always been a passion for Leaman, who has been writing since she was 12. Becoming a professional writer, however, was a career change for Leaman. Writing helped Leaman gather her thoughts and decide what her next career step would be. “The writing stuck with me and I started getting published,” she said. Leaman, who placed second in humor/lifestyle writing during the 2017 Utah Society of Professional Journalists contest, will talk about her own journey during the workshop. “Along with that, I will address the concerns people have about making a change but finding they don’t like what they chose to do,” she said. “That’s something that is very common, and you don’t know you will like something unless you try it. Leaman has taught creative writing workshops for the aging in Salt Lake City, and this is the first one she’ll do in Park City. Jewish Family Service then asked Leaman to do the workshops as part of their community education program. 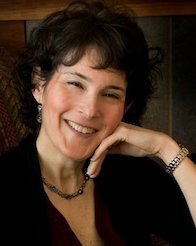 Jewish Family Service will present writer Debbie Leaman’s creative writing workshop for the aging, “Re-Imagining Your Life,” from 1-4 p.m. on Wednesday — July 26, Aug. 2, Aug. 9 and Aug. 16 — at Temple Har Shalom. The cost is $135. Registration is open and can be made by contacting Liz Anderson via email at elizabeth@jfsutah.org or by calling 801-746-4334. For information about Debbie Leaman, visit http://www.debbieleaman.com.